A dog has become a sensation in cyberspace. 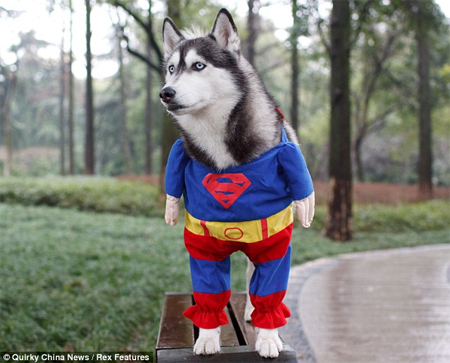 After the owner memposted series of photos of his dog using a Superman outfit. In the photo spread is the dog is very cute style. In the first photo of this dog looked like he was standing on two legs. However, if one looks closely at still standing on four legs. In other photos it looks like the dog was running in a park. He is really a dog who is very funny and smart.